1. On a cookie sheet, season wings with salt and pepper. Bake chicken wings for 40 minutes at 350° or according to package instructions. 2. While chicken is baking: preheat your grill, and melt pepper jelly in microwave for approximately 2 minutes. Thin jelly with 2 Tbsp of water and add the salt. 3. When wings are out of the oven, toss with bottle of hot sauce*, then grill until well charred. Extinguish flame and baste both side of wings liberally with pepper jelly mixture. *Suzanne’s tip: Stop here and you can store in fridge up to 2 days and finish on your grill at a tailgate or party! Suzanne’s Kitchen manufactures four varieties of spicy pepper jellies. Heaven, Suzanne’s mother’s original recipe, Purgatory, Hell, and Ghost. They are currently in 63 stores over 9 states and still growing! 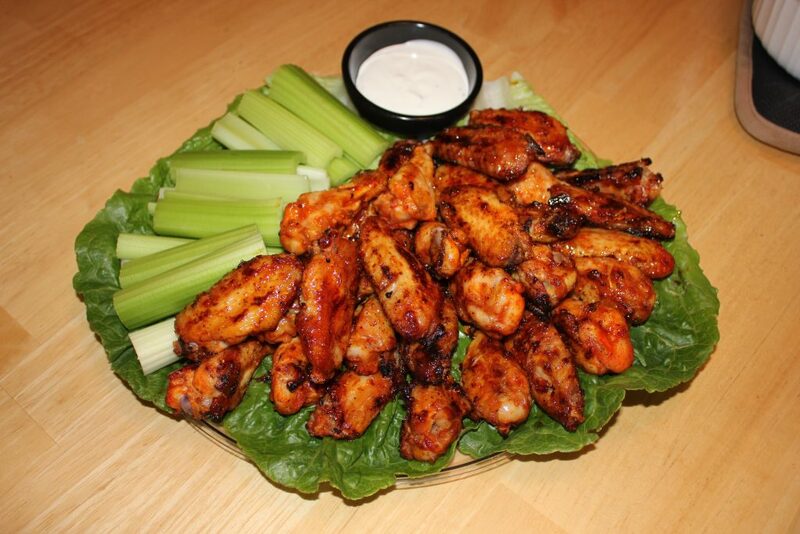 Suzanne’s Kitchen is collecting all kinds of awards including Delaware’s Best Wings!